Most of you are very familiar with my love of Coast to Coast challenges, and some of you have even joined in on the fun! 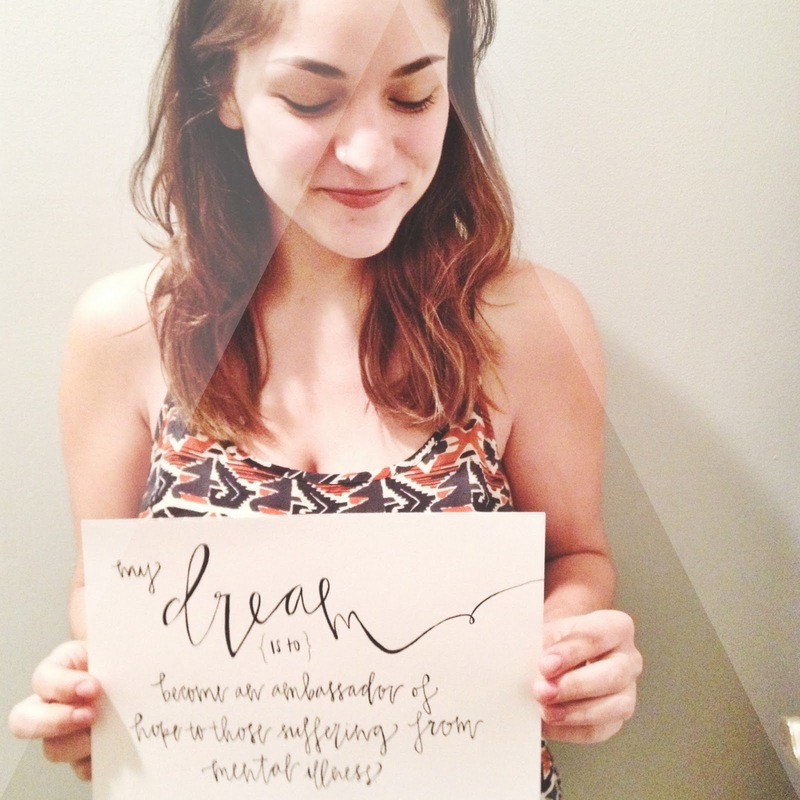 Recently the ladies of Coast to Coast joined in with Go International for the #DreamCampaign. The purpose is the realize what you dream to accomplish in your life so that it can become your reality. I believe whole-heartedly that we God has created us with specific life purposes. Some people know right off the bat what the path God has planned for them will look like, while others learn from experiences what truly touches their hearts. My dream has been a long time in the making, although I wasn't aware of it until quite recently. This post is one of the most personal and meaningful I will ever have the opportunity to share. I hope the Lord will use this as a way to encourage you to love yourself and recognize your dream, His plan for your life, specifically. 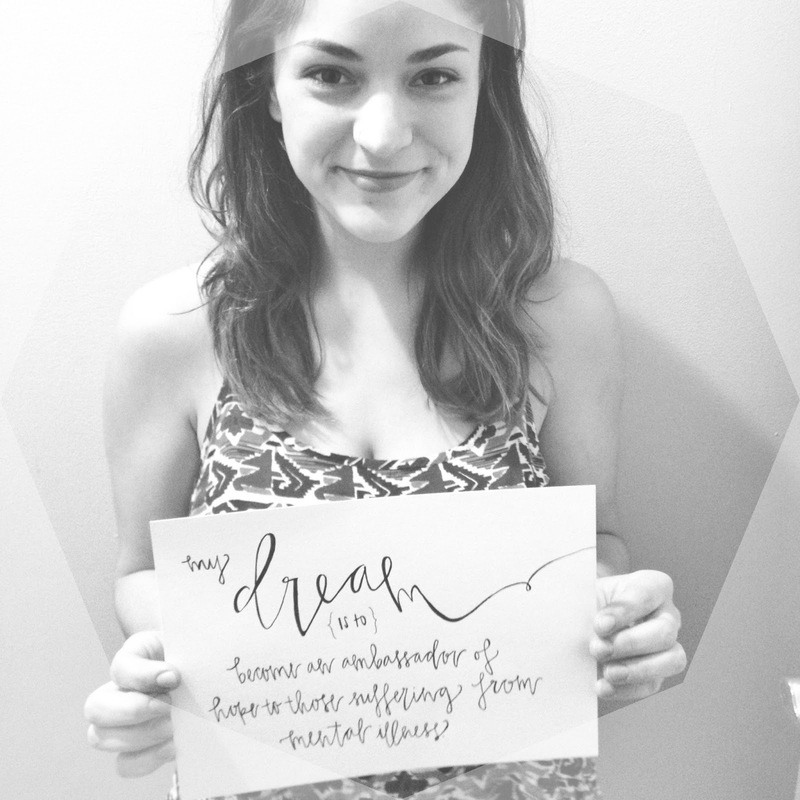 My dream is to become an ambassador of hope to those suffering from mental illness. This may seem quite random to many of you. How have I stumbled across this, why do I want to be involved in this, and why do I feel God has prepared me for a life of this dream? The truth is, most of my life I have suffered, and continue to "suffer", from multiple mental illnesses. Hardly anyone would suspect that my every day is a struggle, a war between my brain and my soul. I suffer from chemical depression, obsessive compulsive disorder, ADHD, and an anxiety disorder. I can recall my earliest memories and trace these illnesses all the way back. It took me much longer to be honest enough with myself to recognize that I was struggling. When I finally did pinpoint what was going on, I realized that I couldn't remember the last time I had felt OK. Unfortunately, mental illnesses carry such a stigma, especially in the Church. I can't tell you how many people have told me to just "pray" it all away. It doesn't always work like that, not for me anyway. Some people struggle with depression or anxiety due to circumstances. However, according to the National Institute of Mental Health, about 1 in every 4 adults in the United States suffer from a mental disorder. I have been living a life of confusion, trying desperately to get rid of this darkness and suffering that was my constant shadow. I have struggled and fought with God for so long over WHY; why me, why am I consumed and enslaved to this, why does my own mind seem to reject the person and soul God created? The Lord has answered all my prayers. But not the way I had previously thought or hoped. God did not rid me of these mental illnesses, instead, He opened my eyes to their PURPOSE in my life. I have been called by God to live my life as an example to others. I have been on many domestic and international mission trips with my church, in turn experiencing God's love in ways I never imagined. I now realize that the Lord has called me to be a full-time missionary, just in a different way than I expected. I know for a fact that The Lord made mental illness part of my daily life so that I am reminded each and every day how I am nothing without Him. I am so stubborn, strong-willed, and independent. While some people see mental illness as a disability, I see it as a gift. Isn't that what we, as Christians, are called to do every day? To feel so broken and lost without Christ that we physically cannot bear life without Him? Living life with a mental disorder is just like living a life without knowing Jesus. There is no hope, no salvation, no future. I feel blessed to have the opportunity to suffer from mental illnesses, so I can be reminded each and every morning how desperately I need Jesus. Seeing everyone else's dreams on the Coast to Coast Challenge blog & hashtag feed caused me to search myself. What is the one thing I hope to embody as I continue living my life? I have so many dreams, and I feel so blessed to have a heart full of wonder and excitement for this beautiful world The Lord has created. But this weekend I received the confirmation that I needed to know that this dream of mine should become reality. Hope is the ability to fall in love with reality; Not simply what is happening in my life, but what God has to say about what is going on in my life. It was as if God was looking me in the eye, comforting me after this exhausting spell. BE STILL, MY SOUL. The Lord has my life in His hands and everything is going just as He has planned. My dream is that I will become an ambassador of hope to people suffering from mental illness; Christians and non-Christians. There is an equal need on either sides because living with a mental disorder causes you to doubt your self-worth, and your life as a whole. Not only do I want these suffering people to learn to love themselves, but to see, recognize, accept, and embrace the hope that Christ's love restores our joy, our hope, and our lives. God has shown me how to fall in love with my mental disorders, so that I may have hope. I so desperately want anyone who suffers to open themselves up to this overwhelming hope and joy He has instilled in me. There is no shame in mental illness.